There's no need to leave your "fur babies" at home when you go on holidays anymore. These five hotels not only welcome four legged friends, they offer dog friendly accommodation packages for pet owners too. Please note that each hotel has varying rules regarding the size of pets allowed, so make sure you check before making any bookings. 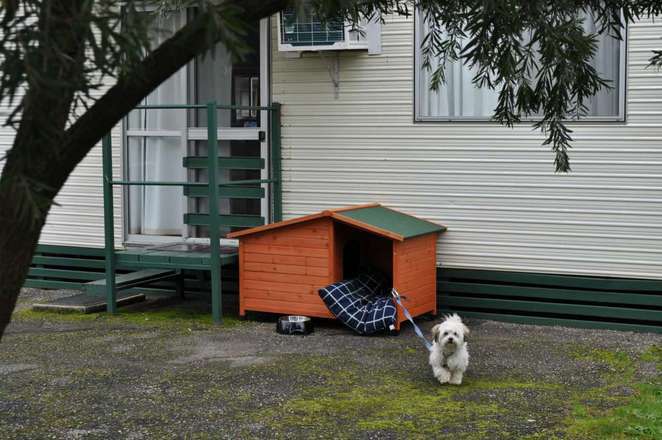 The Fairmont Resort has several ground floor courtyard rooms with fences to let your pooch wander around freely. 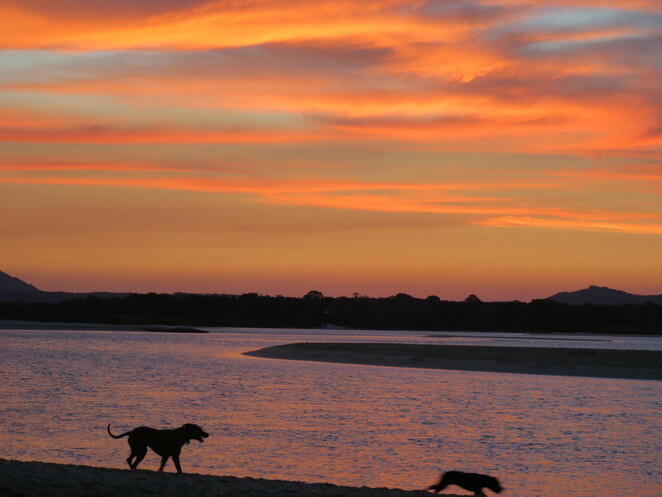 The resort also has extensive grounds which are ideal for taking Fidos for those long nature walks that they love. Pier One Sydney Harbour have Dog Friendly Accommodation Packages in their Waterfront Rooms which include a trampoline bed for your pooch and direct access to the pier. There is also a Dogue Mini-Bar filled with doggie treats and gourmet snacks. Owners can take their four legged friends for a walk in nearby Barangaroo Reserve. The Langham have VIP (very important pets) packages, so there's no excuse to leave your pampered pets at home when you stay there. They are given huge plush doggie beds fit for the Queen's own corgis and matching doggie bowls. The impressive Pet Room Service Menu features classic dishes such as "Lassie's Favorite", and "Beef Steak with Chunky Vegetables". Lilianfels Resort and Spa have elegant courtyard rooms as part of their Bring Your Own Dog Package. A highlight of the package for Fido would be the "Love 'Em" treats offered to them, after a big day exploring World Heritage listed, Blue Mountains National Park. Pets with a taste for luxury will be excited to visit the beachside Palazzo Versace. The Palazzo Pet Package includes plenty of running on the beach as well as Versace crystal food bowls, designer pet beds (of course) and optional doggie treat room service. For those families and pet owners planning a less luxurious holiday, Big 4 Holiday Parks across Australia offer fantastic pet friendly accommodation too. Have fun exploring and I wish you and your pets a great summer holiday. A creative idea for an article, Lucy! Congrats on your 2nd in the Comp, Lucy! 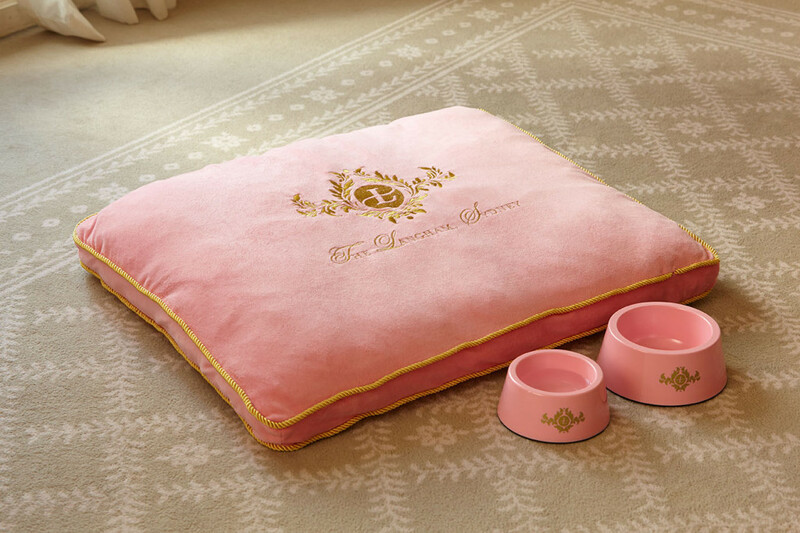 How ADORABLE are the little doggy beds and bowls at The Langham?! Looks like they get treated better than the humans haha!